Just when you thought twirling your drumsticks was the only way to look cool. Introducing drum lite - a drum accessory that revolutionizes the way you look, feel, and play. With 16 different colors and 4 pre set patterns, the lighting possibilities are endless. Simply install the flexible Drum Lite LED strip inside your bass drum - with the included double - sided tape - route the cable through the air vent, and plug into the included LED controller. Whether you play in your basement or sold out arenas, drum lite will change the way you play your drums forever. This kit includes everything you need to trick out your bass drum. So plug me in, turn me up, and rock out. 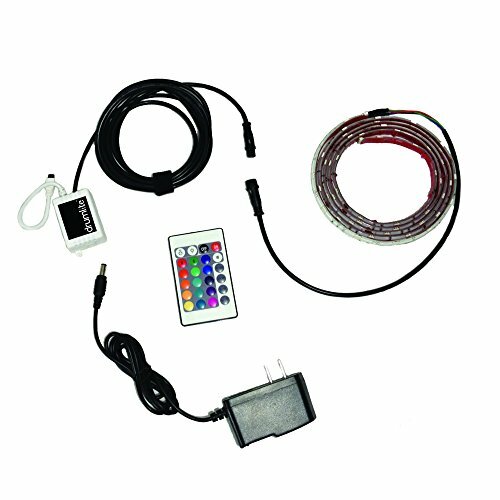 A Bass Drum Lite Kit includes everything needed to light up your bass drum: Custom sized Drum Lite RGB strips for your bass drum Wireless Remote and LED Controller 4 flashing and fading presets Scroll through 16 different colors with every Drum Lite Kit Custom Snake Power Supply Our difference: Drum Lite Strips are custom fit to your specific drum sizes Easy plug and play connections for quick take down and storage All Drum Lite strips are RGB which let you have countless color capabilities Lightweight Drum Lite strips do not alter the sound of your drums High quality 3M foam-backed adhesive tape does not leave any residue behind on your kit Full Drum Lite Support - you send us a pic and we will put you on our website, Facebook, and twitter! Exclusive to Drum Lite. Bass DrumLite kits will fit bass drums sized 20" - 24"
Bass Drum kits fit all bass drums sizes 20" - 24"